FOMS is a voluntary parent group who organise essential fundraising and community events. They meet monthly to plan and organise their fun events. Parents may wish to join FOMS or just be involved with specific events. All effort and contributions are most welcome. 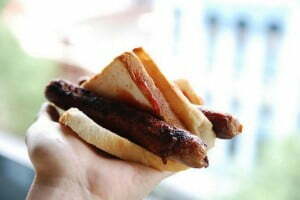 Sausage Sizzle occurs every second Friday, alternating with Pork Buns every other Friday. We are proud to be serving Harmony 100% beef sausages provided by Neat Meat. We also offer special lunches (sushi, pies etc) from time to time. Click here to order your child’s lunch or to place orders for other FOMS fundraisers.